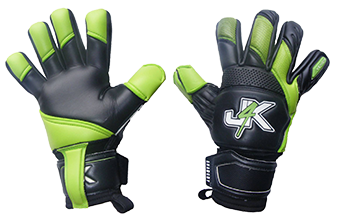 One of the biggest mistake goalkeepers make or the parent of a goalkeeper (and even the most experienced of goalkeepers) is they type into a search engine ‘goalkeeper gloves’ when looking to purchase their next pair of goalkeeper gloves. The problem with just typing this keyword into a google search engine, the strong chances are the goalkeeper or parent is not going to get the goalkeeper gloves that they actually wanted. The people who sadly make this schoolboy error mistake, is the parents of a goalkeepers. Or a coach buying goalkeeper gloves for their club keeper. Most parents who have a child playing in goal, do not really understand what to look for their goalkeeping child, so the naively will just type in google goalkeeper gloves example and then the strong chances are the will purchase the wrong gk glove. You see when you are picking a gk glove, you must make sure this gk glove is the correct shaped gk glove for your hand. This is so so important, I am going to repeat myself, ‘when you are picking a keeper glove, you must make sure this gk glove is the correct shaped gk glove for your hand.’ This is very important you get right. (Please see below how to pick the correct shaped keeper glove for your hand shape). What happens to most goalkeepers (or parents of a goalkeeper) is instead of getting the correct gk glove for their shaped hand, they will pirchase a goalie glove that these websites will recommend to them because like I stated above, these websites are good marketers and for the most part, they are more interested in making profits that helping you. The goalkeeper gloves that has just been launched onto the market. So these goalkeeper websites and companies are promoting a glove for THEIR benefit NOT for the goalkeeper (or parent of a goalkeeper) looking to buy. Like I said above, the most important thing you have to do when buying your goalkeeper gloves is make certain the glove is the correct shape for your hand. I cannot stress how important, picking the correct goalkeeper shape for your hand is… it is so so important.